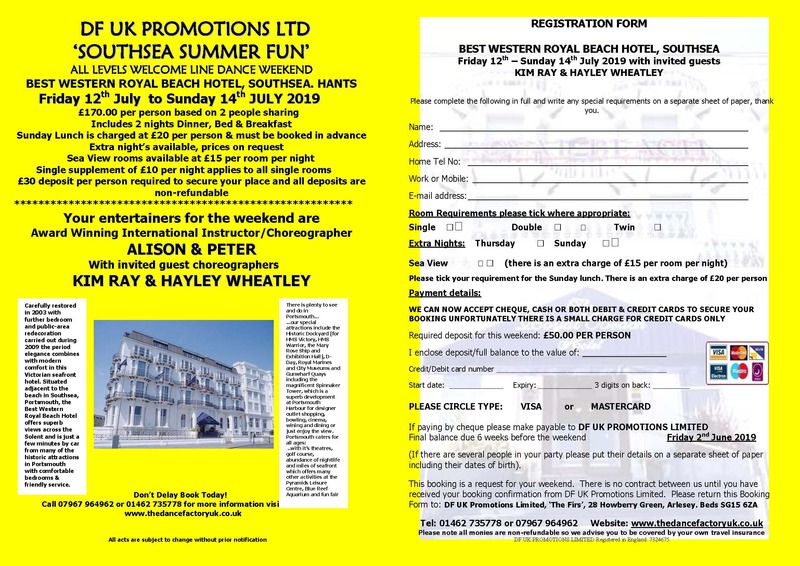 TheDanceFactoryUK of DF UK Promotions Limited have gained a reputation of providing the best dance holidays on the market and are now establshed market leaders within the line dance industry please read on. 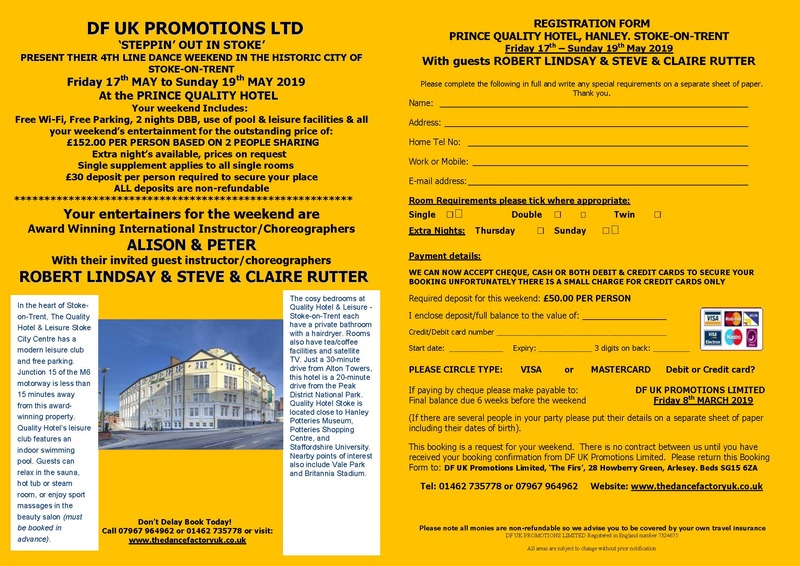 Alison & Peter are not only well-renowned award winning line dance instructor/choreographers but they have also established themselves as one of THE market leaders in providing top quality 'line dance' weekend breaks/holidays & cruises. They always go above and beyond the call of duty to give you that extra special experience. Their passion and enthusiasm for 'line dancing' always come through time and time again. They have been part of the line dance community for 25 years and know how to cater for line dancers of all levels from beginner through to intermediate/advanced. Everyone is looked after and is able to dance and dance ...... and dance! Not only do they give you their award winning choreography and teaching skills they also provide you with 'THE BEST' holidays in the line dance industry, their organisational and hosting skills are tantamount, you are always assured of a great time. Not only will you be part of the event you choose, you are able to make new friends, mix with current friends or just sit and enjoy the ambience and soak in the atmosphere. You also have time to relax and enjoy the local amenities. Alison & Peter do not aim or pertain to be the cheapest holidays available but aim to provide 'THE BEST' quality, value-for-money events on the market all backed up by their experience, organisational skills, expertise and ability to create a holiday that is specially formatted for you. As well as all of the above, you have one of the best line dance DJ's. Alleebee's Disco has had the pleasure of DJ'ing for numerous years at the prestigiuos Crystal Boot Awards and has been nominated in the best DJ category many times.